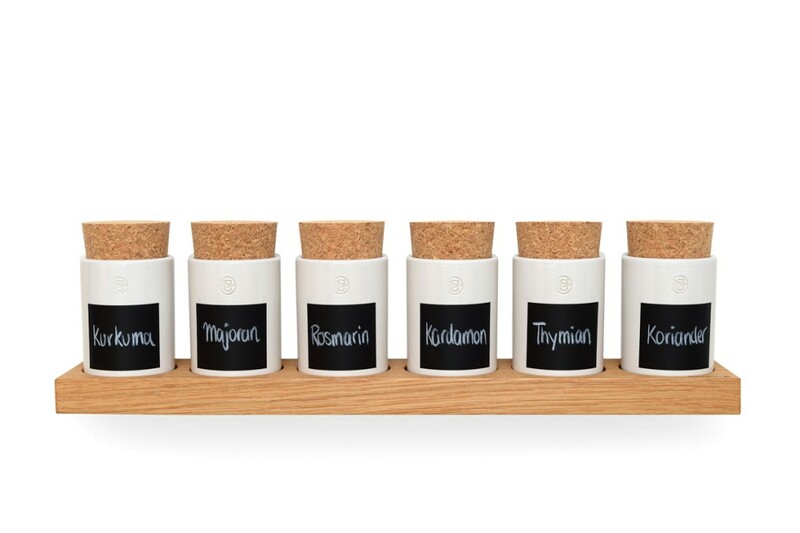 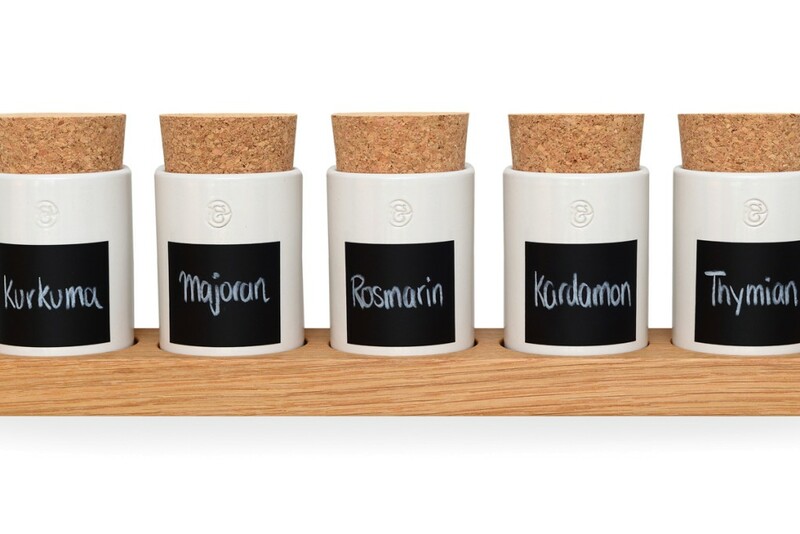 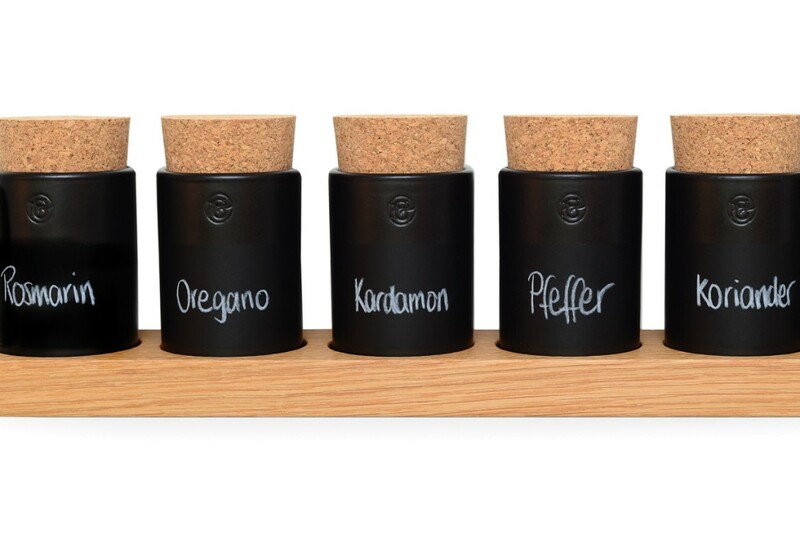 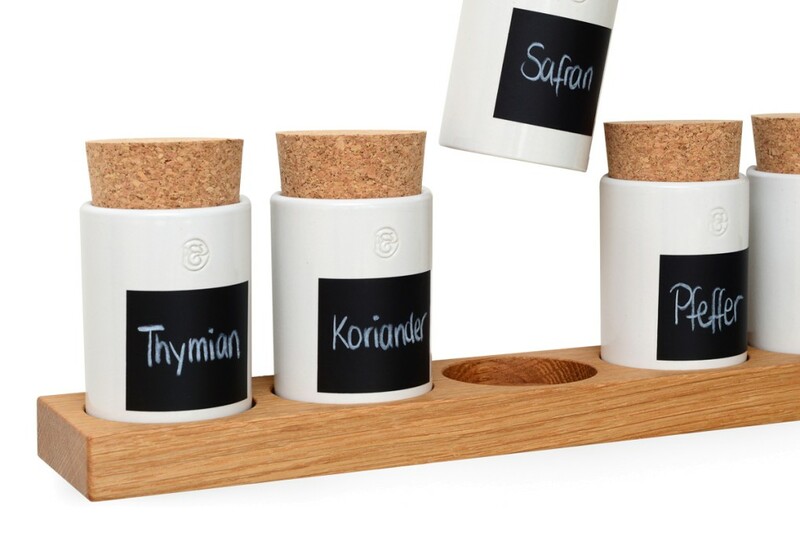 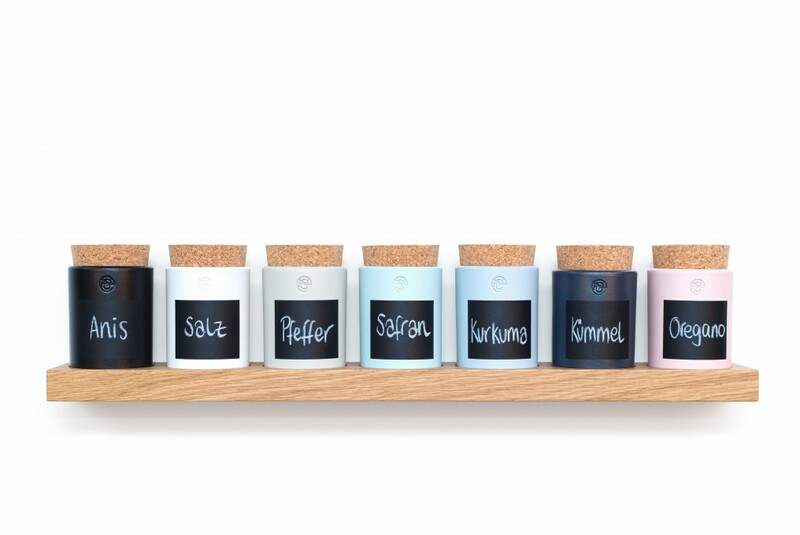 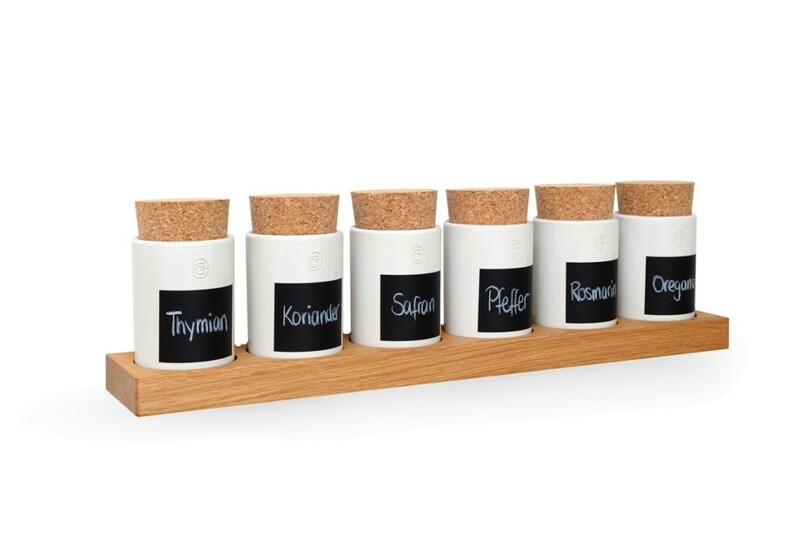 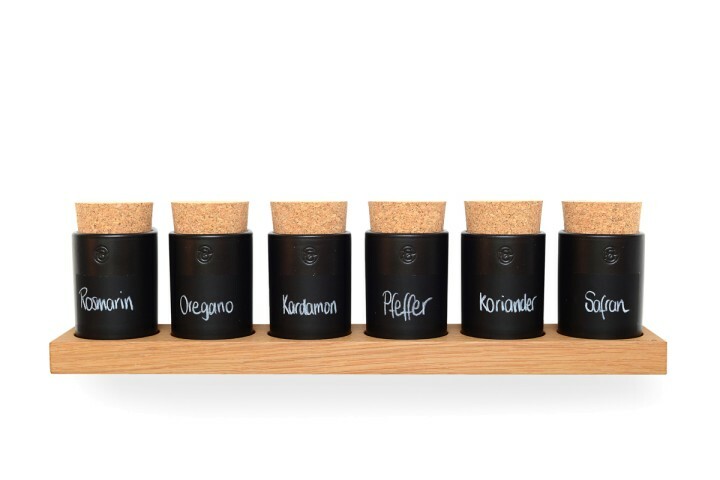 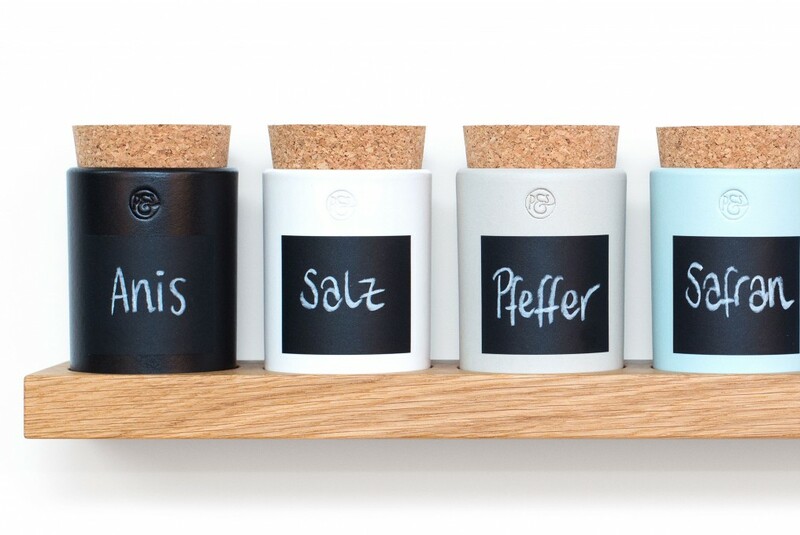 Our wall spice rack can store six spices, teas or herbs properly and stylishly. 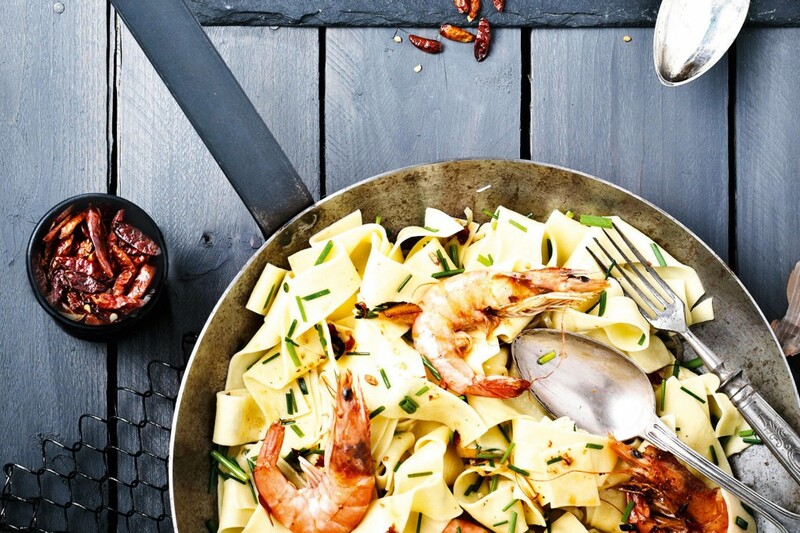 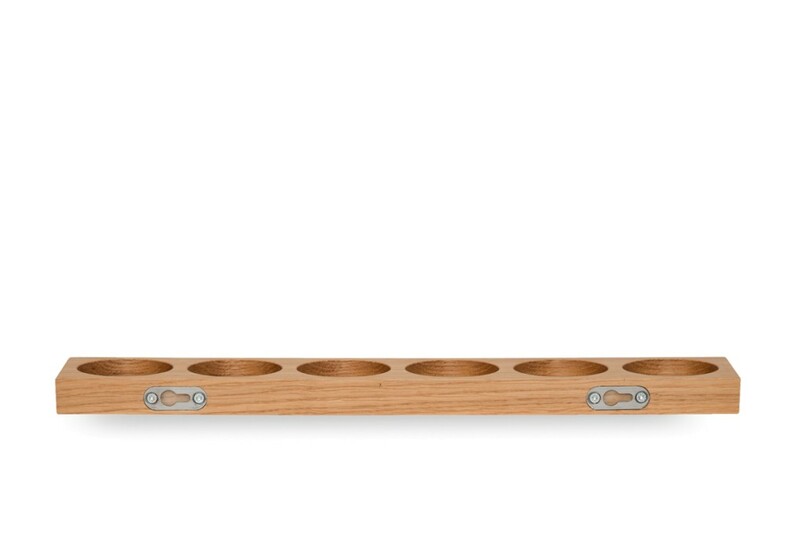 This floating wall shelf also looks great in your kitchen. 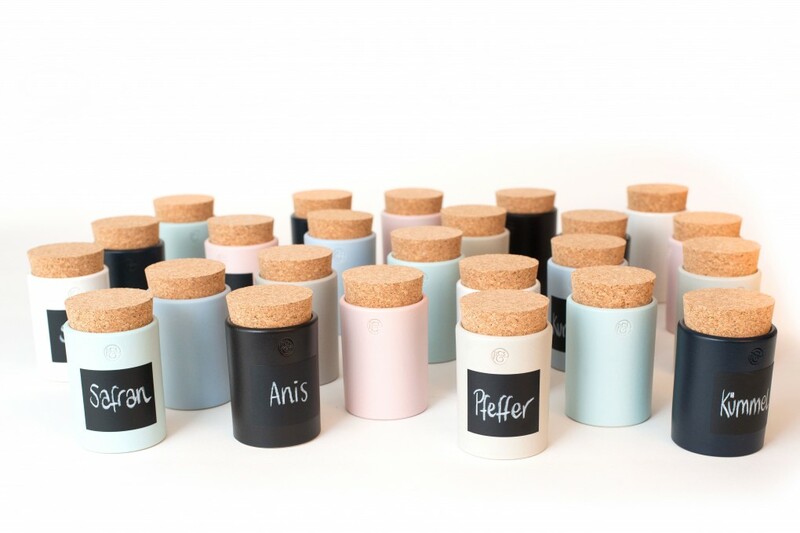 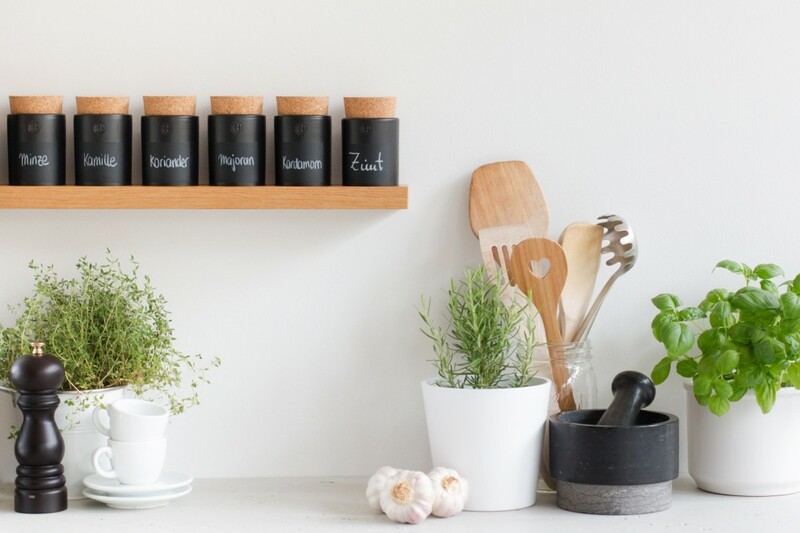 The clay pots (each with a cork top) provide a linear storage solution for herbs, spices and teas – and make for an exquisite display. 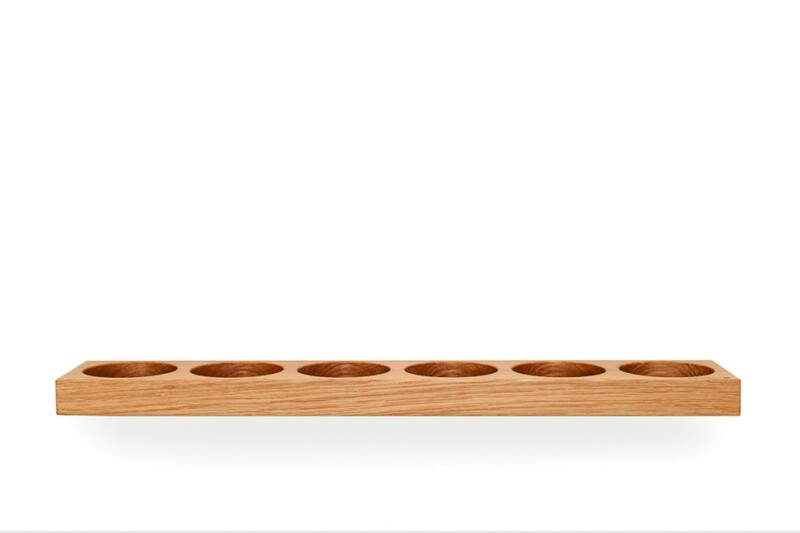 The floating shelf made from solid oak wood has 6 milling grooves to keep each clay pot in its place. 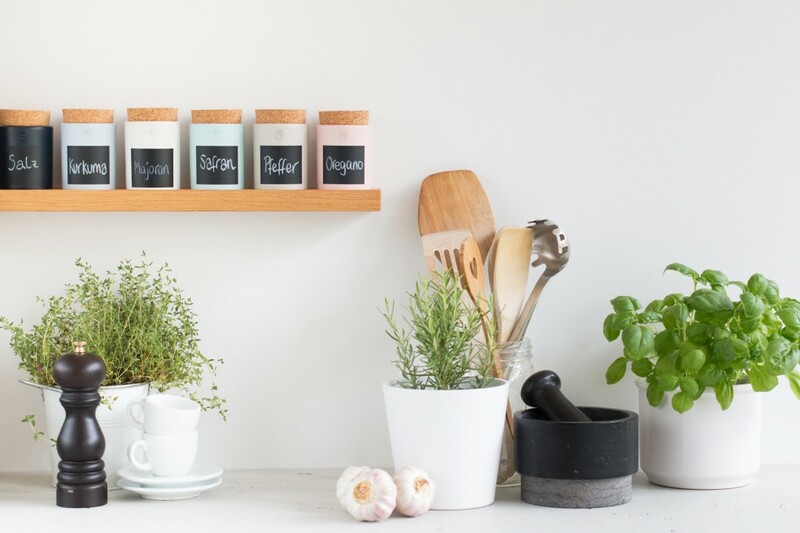 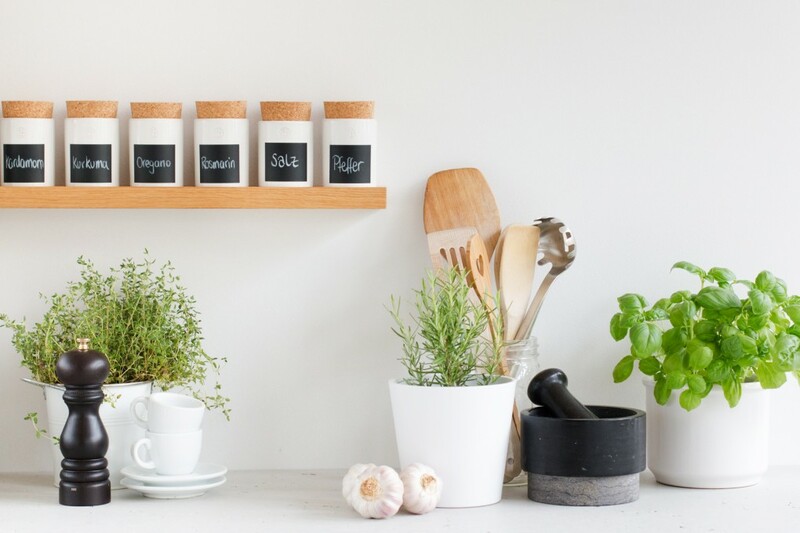 If you happen to have containers for herbs and spices already, a floating shelf without milling grooves might just be the solution for displaying and storing spices in your kitchen.